Listen to an EXTENDED explanation of Turnaround that includes samples from the program. 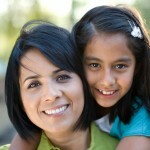 What are the Benefits of Child Anxiety Treatment Through the Turnaround Program? Turnaround speaks directly to children – not adults. We use our experience in working with kids to capture your child’s attention, teach in a way they can understand, and effectively change how they deal with anxiety. We do the work so you don’t have to! You simply support your child as they work to carry out what we teach them. Kids love listening to stories, especially when told by children. Kids speak to kids in our child anxiety treatment program. Your child will hear a lot from other kids, not just the 6 children who are the main characters in the Turnaround story but also from outtakes of other children telling their stories of overcoming fear. Get the benefit of receiving professional counseling in your home! Two experienced therapists wrote the program and they, with the help of other children, will counsel your child in the comfort of their own home. What a great option for you child to utilize! Your child will bond with the children and characters in the story (a very important part of success), feel a part of a group that understands their struggles, and work to imitate the success they hear being accomplished by the children in the story. 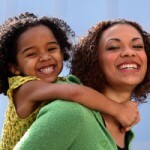 The human brain mimics behavior so this format works naturally with your child. Read the testimonies to see how successfully it works! It’s a great way for both parent & child to bond and grow. We strongly encourage parents to listen to Turnaround with their child. The is a unique language used in Turnaround that you will learn together and use effectively throughout the day. This is one of the features parents tell us they love most! So, when you’re out and about and your child starts to have anxiety, you can turn them to them and say, “Sounds like Krank is talking Whacky Thoughts to you and you just need to chill with it.” Your child will know exactly what your talking about and begin to implement the strategies we’ve taught them in Turnaround. Turnaround is a money-saving option. Turnaround costs less than an average session with a psychologist. Even if you have insurance, a few copays will equal more than the cost of Turnaround. Purchasing Turnaround is essentially risk free! We offer 30, 60, and 90-day money back guarantees depending upon which version of the program you buy (see below for further details). Our return rate is between 2-3%, meaning we only get 2-3 kits back for every 100 we sell! There’s at least a 97% + satisfied buyers suggesting that Turnaround will benefit your child. But if for some reason it doesn’t, simply return for a full refund of the kit price (shipping & handling fees are non-refundable). 3-Ways to Purchase the Turnaround Program? The Turnaround program comes in three formats for you to choose from, the digital download version (Basic Program), the physical version of the program which includes a USB flash drive and the journal (Standard Program), and both the digital and physical versions combined making it ideal for international buyers, kids in crisis, and families who want the best of both (Premium Program). The same material is included in each format. Turnaround is an audio adventure story that captures your child’s imagination and teaches them how to overcome their anxiety. It is an evidenced-based, multi-theoretical approach treatment program designed specifically for children. It uses proven treatment methods (CBT, Narrative Therapy, DBT, Social Learning Theory, and more) to help your child identify irrational thought patterns, cope with intense physical reactions, and learn effective behavioral strategies. Each day, your child will listen to an 18-25 minute lesson and then complete the exercises in the accompanying Journal, which takes 10-20 minutes. Turnaround is a story that your child listens to over 10 lessons. It is possible to break lessons into smaller sections if that works best for your child. What Is The Story Told in Turnaround? To make Turnaround we hired 14 child-actors and 6 adult actors to play the various parts. The premise of the Turnaround story is six anxious children go on a 10-day hiking trip with two therapists (Dr. Chris & Dr. David) and a teen mentor (Emily) who previously completed the trip. Emily acts as the guide who leads the kids into each day’s adventure in overcoming anxiety. The docs teach the kids different things to help them understand what anxiety is, how it affects them, and how to overcome it. On their journey the six adventurers meet fun characters that your child will love. There’s Kerplop the talking beaver, Krank the hyperactive Samurai warrior who personifies anxiety, Chill the laid-back surfer dude who personifies positive coping behaviors, and Doliver the peculiar but ever-so-wise mountain man. There are also brief vignettes of other children and characters telling their stories of overcoming anxiety. You can hear some samples here.